﻿Desirable Alessandro. 40 Meters of Graceful and Sleek Design. Launched in 2011, the Alessandro is in a class of her own. 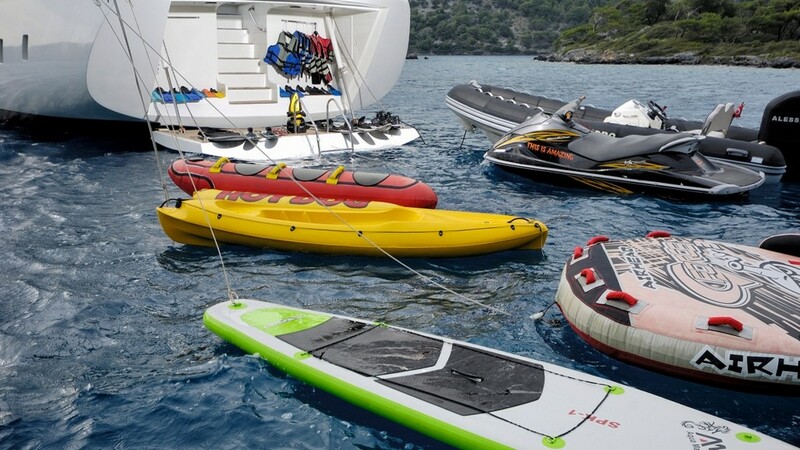 She offers a great deal of features on board, leaving guests with plenty to enjoy during their holidays at sea. 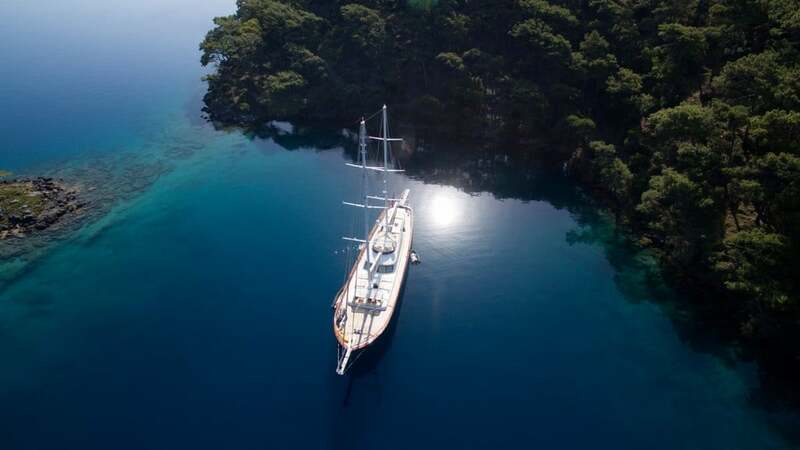 This beautifully crafted yacht has logged many exciting nautical miles in the waters of the Eastern Mediterranean, leaving guests to take back home, some of the best holiday memories. Ever so graceful and sleek lines in design, the Alessandro is a 40 meter motorsailer. She is fully equipped with many of the luxuries many travelers could expect from an affordable high class yacht. The aft is a unique part of this fine yacht as the alfresco dining in divided into two tables where seating is on both the port and starboard. This area also features a swimming platform and plenty of water toys. The aft leads directly into the home-style creamy white and wood saloon with large screen satellite TV. From the starboard side, a set of carpeted steps lead to the 5 luxurious accommodation. The whole feel of this yacht is light and airy – and quite refreshing. The color scheme portrays as though there is always continuous daylight. The forward deck area features a fantastic jacuzzi under shade when desired, surrounded by large sunning mats. A calming soak in this tub may do wonders after an eventful day in the water and ashore. Further up, guests can enjoy cooling cocktails in the practically designed deck level large cushions with small service tables. Ideal for multiple families, couples only, or a group of up to 10 friends, there is a 1 twin cabin, 3 master cabins and one double VIP. Each equipped with air conditioning, satellite TV, and marble en suites. Based in the charming town of Gocek, Turkey; the Alessandro yacht offers cruising areas in Turkey as well as the islands in Greece. 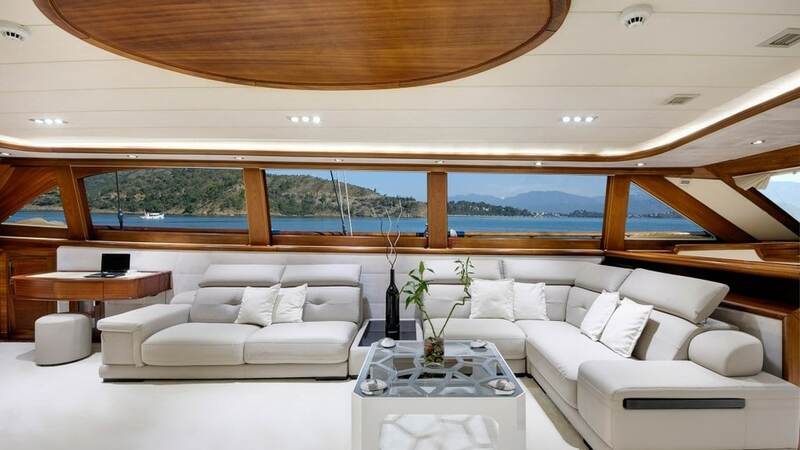 All throughout guests will feel the spaciousness of this impressive yacht. 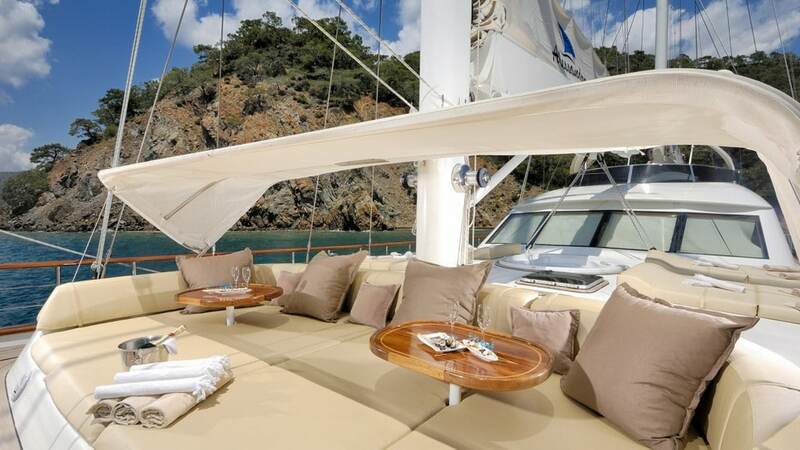 Private Mediterranean sailing holidays are certainly meant on board the Alessandro yacht.